This project is aimed at supporting CO2 storage projects in Australian sedimentary basins through investigation of the controls on carbonate authigenesis in freshwater aquifers as a natural analogue for mineralisation trapping. The literature review and desktop study provide a foundation that synthesises what is known about the controls on carbonate precipitation in aquifers with different chemistries, reservoir temperatures and available volumes of CO2. The parameters derived from this study will feed into simulations of engineered mineral trapping of injected CO2 that will then be tested experimentally in the laboratory with Precipice and Hutton sandstone core samples. Early results of hydro-geochemical modelling for CO2 storage in the Surat Basin. 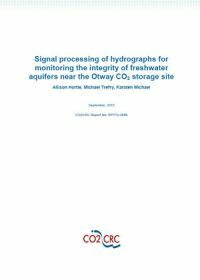 This research is highly relevant to both potential CO2 injection operators and those statutory bodies that must regulate geosequestration operations in low salinity aquifers. The report provides early model assessments of geochemical influences of a greenhouse gas stream on both reservoir and seal rock types and the associated water chemistry. Importantly, these models use injection fluid compositions of CO2 , SOx and NOx that are broadly indicative of the composition of the major components of a GHG Stream sourced from coal-fired power stations. 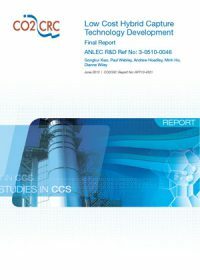 Post-combustion CO2 capture (PCC) has been recognised as a necessary option for reducing the emissions from fossil fuel power plants, especially from coal-fired power plants. The current preferred technology for CO2 capture from PCC is solvent scrubbing, of which the unit size is likely to be larger than the currently operating scrubbing units. This project looks to examine the opportunities to integrate solvent scrubbing with alternative technologies such as CO2 capture by adsorption for a lower energy penalty with additional benefits. This study shows that the hybrid system as proposed was not effective in reducing the overall cost of CO2 capture. The CO2CRC Otway project has been collecting water level data from three groundwater wells approximately 1100m above and located several kilometres away from the injected CO2 plume in the Waarre C Formation. The objective of this project was to investigate the usefulness of monitoring these wells for small leak detection, were it to occur, and to identify more optimal locations for groundwater monitoring wells were they to be purposely drilled. Spectral analysis techniques are performed to achieve this objective and conclusions are drawn regarding optimisation of shallow groundwater monitoring systems. This interim report provides an account of the Otway Stage 2B design and field operations for the CO2 residual saturation and dissolution test, which is the first field test of this nature in the world. The execution and summary of the data obtained from the field test are included in the report. Residual trapping was measured by five different techniques in the test, each with a different radius of investigation. Excellent quality data was acquired throughout the field program. 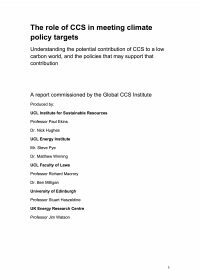 Detailed analysis of the five tests has subsequently commenced and a detailed analysis will be released in a future CO2CRC report. 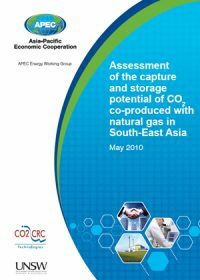 Since 2007 there have been numerous publications released covering the best practices, guidelines and standards for CO2 storage. These range from very topic-specific manuals, to those covering the entire CCS chain including transport. There is a wide range in the level of detail that is covered, with some offering overviews of the concepts, some offering highly detailed discussions and others providing the technical operations, calculations and geologic parameters that went into real world projects. 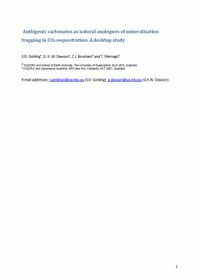 In the end, a comprehensive database of best practices for the bulk of issues necessary for CO2 storage currently exists. The following is a brief summary of the manuals and guidelines that have been published, a list of those that have been announced and are awaiting publication and several additional resources that were thought to be of importance but have been either superseded by more recent manuals or are of limited scope and presentation. Additionally, the published manuals and guidelines have been placed into tabular form illustrating (broadly) the topics covered and the level of coverage provided. 2007년 이후, CO2 저장 관련 효율적 실행 방안, 가이드라인, 표준 등을 포함하는 다수의 출판물이 발간되었다. 이 출판물들은 특정 주제를 다룬 매뉴얼부터 수송을 비롯한 전반적인 CCS 과정까지 광범위하게 다루고 있다. 이들이 다루는 세부 내용의 수준도 천차만별로, 각 개념의 개관을 제공하는 출판물, 매우 세부적인 논의 내용을 다루거나 실제 수행된 프로젝트의 기술적 운영, 계산, 지질학적 한계 등이 포함된 출판물도 있다. 결국, CO2 저장과 관련한 수많은 문제와 그 실행 방안에 대한 광범위한 데이터베이스는 현재 존재한다고 할 수 있다. 아래에는 출간된 매뉴얼과 가이드라인에 대한 간략한 개요, 이미 발표되어 출판 단계에 있는 자료의 목록 및 최신 매뉴얼로 대체되거나 제한된 범위와 제공 방식에도 불구하고 중요한 것으로 평가되는 일부 기타 자료를 수록하였다. 또한, 출판된 매뉴얼과 가이드라인은 해당 주제와 제공 정보의 수준을 (대략적으로) 알아볼 수 있도록 표로 나타내었다. The CO2CRC Otway Project, located in Nirranda South (Victoria, Australia) is developed and led by the Cooperative Research Centre for Greenhouse Gas Technologies (CO2CRC). It is Australia’s first demonstration project of deep geological storage of carbon dioxide (CO2). This report focuses on the engagement and communication strategies that have taken place between the project developer and stakeholders since the project commenced. 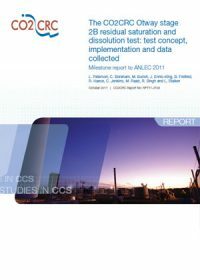 The events that took place in relation to specific engagement and communication activities are examined and analysed, and a summary of consultation successes and failures within the project is provided.